I am sure that nobody would like to live in one of the countries involved with genocide today and the last 100 years. Even though many of genocides in human history happened a long a time ago and governments which started genocide in those days have no connection with governments in those countries today, people simply do not want to be implicated in something as terrible as killing a large number of people. The word genocide actually means, as dictionaries define it, “the extermination of a group of people” – “geno” in Greek means race and “cide” means killing. By a group of people we mean social, ethnic, political, sexual, national or cultural group. The term genocide was first used in 1943 in a book by a Polish lawyer Lemkin who explained it. Almost five years had passed before the term was widely accepted and finally used in the Declaration of Human Rights defined in 1948. However, a true dedication to prosecuting genocide started in 1991 when the first trials began (if we do not take Nurnberg after WWII into account). Perhaps the term killing is not always clear and appropriate since it implies any kind of destroying people, like forbidding them to have a normal and dignified life, to have children or preserve the tradition and culture of their nation. As organization Prevent genocide says, genocide has two elements – mental, where people live under pressure and constantly fear of enemies and for their lives, and physical which involves causing harms, inflicting on the group conditions of life, preventing births and forcibly transferring children to a foreign country or to unknown families, together with killing people in the group. Dr. Gregory Stanton has described 10 stages of genocide saying that it starts with classifications (a specific group is defined and separated from other groups), continues with symbolization (like “Jews”), discrimination, dehumanization, organization (when the whole state organizes genocide), polarization, preparation, persecution, extermination, and denial. Exactly the last stage is something which stops prosecution and trial in countries involved with genocide today and the last 100 years. It prevents penalties and repentance and surely learning about the crimes committed by governments. All 10 stages are visible in the example of Armenian genocide committed in 1915-1917, where Turkish government literally killed, expelled and tortured more than 2 million people. The reason was the willingness of Armenian people to separate from Turkey and have their own country, so the first social groups that were severely punished were intellectuals and political activists. A Turkish imperator Abdul Hamid forced women and children to join the Turkish army, so after the 1920’s, only 388,000 people survived in Armenia and got their freedom. Turkey still has not admitted that this was genocide, claiming that the country only fought with the rebels. 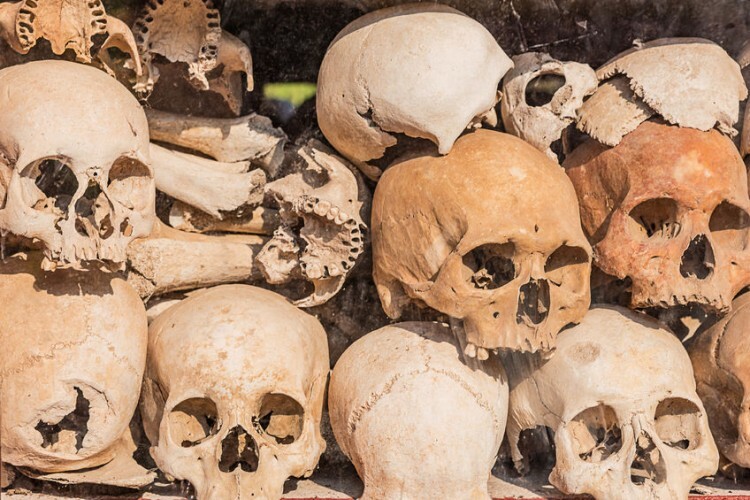 Unfortunately, even though science has described the worst genocides in human history which you can find on our list of 11 Biggest Genocides in History, it seems that people still have not realized the horror behind killing and destroying innocent people in this way. There is a lot of evidence that genocides exist at present, too. Genocides are happening currently in a lot of countries where there are wars, where people suffer enormously, so it is of utter importance to recognize and name those countries and observe them constantly in order to provide safety for the people there and prevent their deaths. Numerous organizations are trying to identify the problem of genocide in countries all over the world, to point to this problem, emphasize the necessity to fight it and prevent further killing of innocent people. In making our list of countries involved with genocide today and the last 100 years, we have used two criteria. On the one hand, it is our responsibility to mention those countries which are known to have provoked genocide within their borders, but, on the other hand, it is also necessary to mention the countries involved in genocidal activities at the moment. As a result, there are five old genocides on our list and five new ones which have all been listed according to the number of victims and the years when they started. So, this is our, sadly still unfinished, list of countries involved with genocide today and the last 100 years.